For those of you who don’t know, I am an avid eBayer. Yes, I am a hustler, and I make money on eBay. I opened my eBay account back in the year 2000 and have been selling stuff on there ever since. 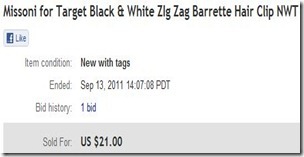 When I first heard about eBay, I thought to myself, what can i sell on ebay to make money? I started off by selling stuff around the house that I no longer wanted or needed, and then slowly graduated to sourcing new products. The holiday season is of course the season where I make the most sales, but I also try to keep up the momentum year round. One of the biggest problems I face though, is coming up with things to sell on eBay. When I heard about the upcoming Missoni for Target launch, I got very excited, not because I wanted any of the items for myself, but because special launches like these where items are highly anticipated and scarce are an eBayers dream! 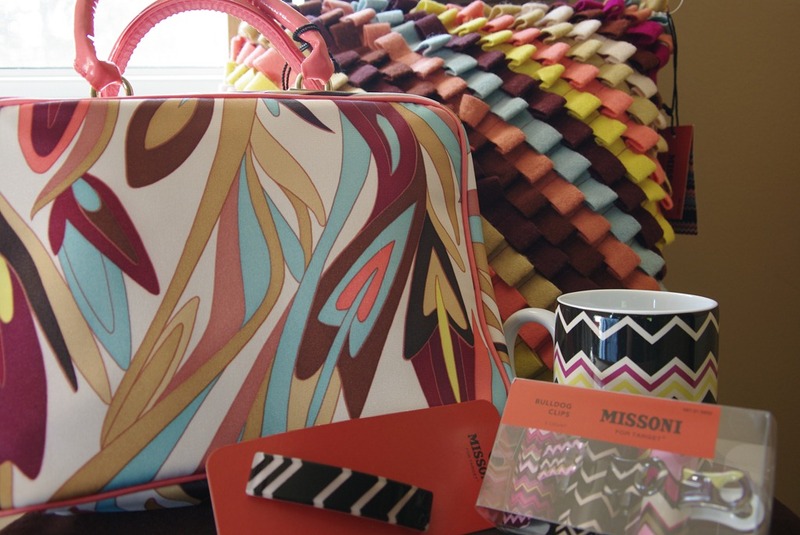 The Missoni for Target collection, made by the Italian luxury knitwear designer Missoni exclusively for Target, consists of approximately 400 items which features the Italian designer’s signature zig-zag patterns. The launch, was scheduled to run from September, 13th through October, 22nd. I made a mental note to check it out, but of course totally forgot about it because I didn’t write it down. So last Tuesday, after dropping my son off at school, I hopped on line to try to get a little work done. I logged on to Twitter and just happened to see a tweet about the launch. I though OMG, it’s today? So without missing a beat, I grabbed my purse and car keys and headed to Target. When I arrived, the selection was very, very slim, but I was still able to find a few items that I thought I would be able to sell on eBay. As soon as I got home, I took pictures of the items I purchased and listed them both on eBay and on the Amazon.com marketplace. Within minutes, I started making sales. For example, I listed this baby at 11:01. It sold at 11:07. In just a mere matter of minutes, this item sold at a profit. I paid $16.99 + tax and it sold for $31. Not bad, huh? 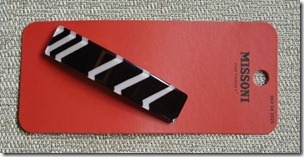 A few minutes later, this barrette sold. Purchase price: $9.99, Sale price – $21.00. Now I know a lot of people think that people who sell stuff like this on eBay for a profit are wrong for doing so. I don’t see it as wrong. For me, it’s a way to make ends meet. For those of you who may be interested in making money with eBay and don’t know what to sell on eBay to make money, I would suggest you start off like me and sell stuff around he house so that you can get a feel for how the selling process works. Once you have a little experience under your belt, think about stuff that you like to buy, or items that you may have had a hard time finding. Last year, Z.E.N fell in love with a tiger costume that was being sold at Old Navy. I procrastinated and when I finally went to purchase it, I could not find it in his size. I visited several stores to see if I could find it, but had no luck. It was also no longer available on their website, so I turned to eBay. This is how I discovered that costumes, both used and new sell very well on eBay. After that eye opening experience, I listed the costumes that Z.E.N had worn in previous years and they all sold. I didn’t necessarily make a profit off of them, but I really had no need for them anymore, so I was happy for the sales. As you can see, making money on eBay is not that hard. Have you tried selling stuff on eBay for extra money? What types of items have you sold? I love selling on Ebay. Once you buy something it’s yours to do as you want. More power to you. I didn’t know you were an avid Ebayer, too! I started in 2000, too. Did it for about a couple years then went on hiatus until last Fall. Have been selling things around the house. Some things are just too nice too donate so I sell them instead. 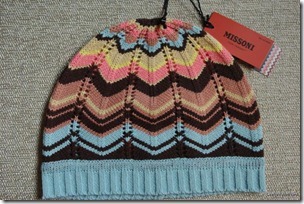 Haven’t gotten to the step where I’m buying things to sell, but you’re smart to do that with things like Missoni. Looks like we have another thing in common – Ebay! How cool is that! I can’t believe you started in 2000 too. I agree, although I donate tons of stuff every year, I do find that there are things that I would prefer to sell instead of donate. I have never sold on ebay but I have a friend who sells antiques (and buys antiques to sell at his business here locally.) I do buy costumes I wear in theater productions because it seems like whatever the costume designer wants, I can’t find in my size so what I have discovered is there are a lot of options once I go onto ebay. Maybe I should try selling for a change. This strategy you used is brilliant! Yes, you should definitely try it! I’ve sold unwanted items and purchased hard to find items. I’ve heard of people selling items in the manner in which you describe. I never realized it could be that lucrative. If you can find a really hot item that you know will be in hot demand and will probably fly off the shelves, it will definitely do well on eBay. Great article. I actually began my series talking about my making money efforts as well. eBay is my 3rd item on the list. I haven’t sold in a while but girl I was addicted to selling on eBay. Like you said, when people can’t find an item, usually they will check eBay. It’s a great way to make some extra money! My husband likes to sell stuff on ebay sometimes and it goes very well.. I used to sell Mary Kay on ebay. After reading your post, I just might try my hand at selling other things as well. You clearly have a very good eye for items that would be popular, Diane. That is always a plus when buying and selling. Some people simply buy the wrong items, or they pay too much to begin with. Great that you can make it work for you, I too sell on ebay but not random items, I only sell one product as I sell in a niche, which is another option to get into if you can. I sell oil lamp chimneys, only Duplex, and I believe I am the only bulk trade seller on ebay.co.uk. So awesome that you found a niche that works for you. I need to do my research and find a good product that I can sell in bulk. Like you, I’m a long time eBayer. I started off selling used items I no longer wanted and also progressed to re-selling items I purchased at retail. 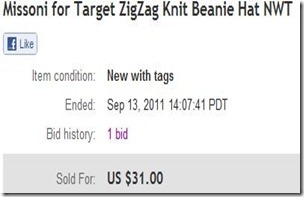 One of my favorite strategies is to buy up new items at store liquidations and then resell them on eBay. Sometimes even items I purchased at 90% off proved popular on eBay. On the other hand, I have gotten stuck with some dud merchandise that no one wanted. In fact, it’s very hard to predict what will do well! That is so true. I have gotten stuck with merchandise as well. When I can’t sell them on eBay, i try to list them on Amazon.com’s marketplace. Sometimes I can get the duds to sell there. 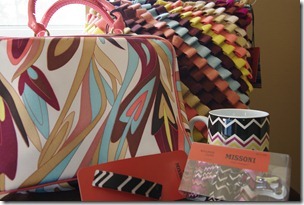 Lovely post and I am not surprised your goodies got snapped up, they look lovely. I love Ebay too and once I have sold the old household things usually after a mass clean out following Christmas and birthdays I still have the bug and have to continue looking for bargains. It’s great to find your site, I will be back. I have toyed with Ebay a bit but never really thought of doing large scale. The most we ever did was camping out with friends at Gamestop the year the Wii came out. We got the Wii’s at a Black Friday price (6 of them since we had six bodies) and then sold them on Ebay. Make anywhere from $100 – $400 profit each. We did the same thing when Wii’s were hot! I wonder if the new wii system will be as hot as the original wii.